In the study of the I Ching through the Yi Fa Society, a great deal of emphasis is put on the cultivation of Virtue ("De"). Virtue is here symbolized by the first four words of Hexagram #1 of the I Ching: Yuan Heng Li Zhen. These words mean "Sublime Celestial Forces in Motion". But they are also representative of the four facets of Virtue emphasized in Yi Fa cultivation: Union, Discipline, Harmony, and Truth. These four concepts are also esoterically connected to the sixiang, the four bigrams of two lines which exist at a more primordial cosmological level to the eight trigrams. 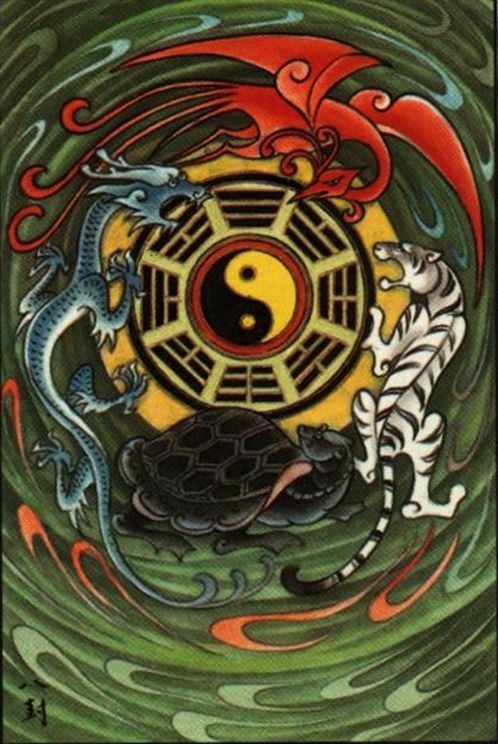 In esoteric symbolism these are represented by the icons of an Azure Dragon, a Black Turtle, a Vermillion Bird, and a White Tiger. These symbols are further explored in the higher levels of the Yi Fa Curriculum. Reflected in the concept of these four cardinal facets of Virtue, you can also understand that there are four key approaches to understanding and interpreting the I Ching. These are Image, Number, Meaning, and Principle. Historically, during the Han era there were two rival schools of I Ching study, the "Image and Number" school, and the "Meaning and Principle" school. Later schools under the inspiration of Yidao masters like Shao Yong and Zhu Xi reintegrated these into unified study. 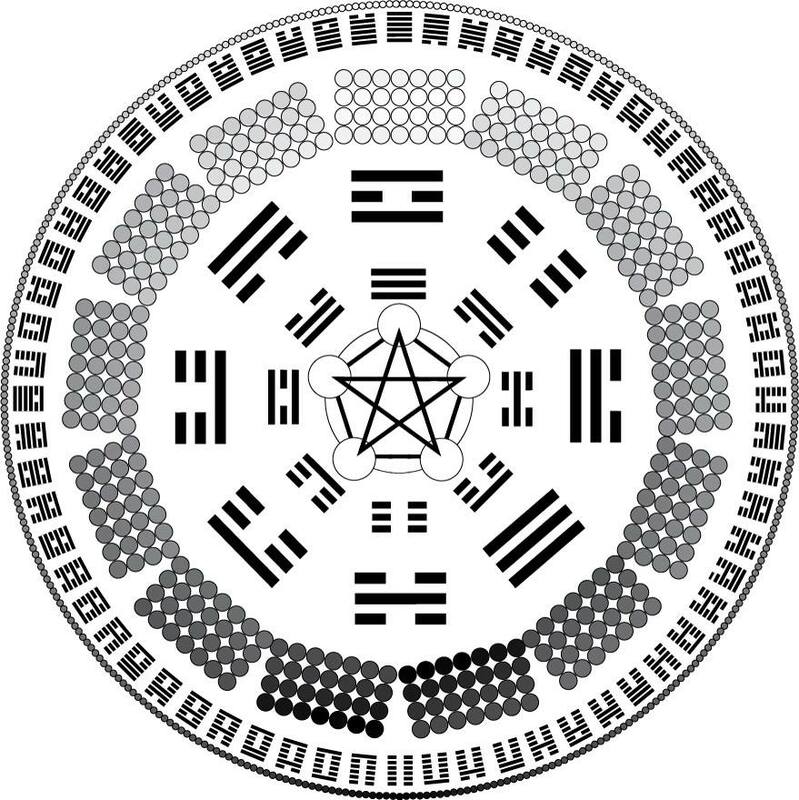 "Image" involves studying the structure of the I Ching hexagrams and their component trigrams themselves, and the images these evoke. "Number" involves a study of the mathematical systems of the I Ching and their numerical structures. "Meaning" involves an interpretation of the textual descriptions of the Hexagrams and their lines. And "Principle" involves contemplation on the philosophical significance of the text in terms of it's significance for attaining to the Superior Individual. With the four facets of Virtue, there can be times when emphasizing a certain facet can be important, but it is ultimately essential to cultivate all four facets if one is to achieve higher-level attainment. 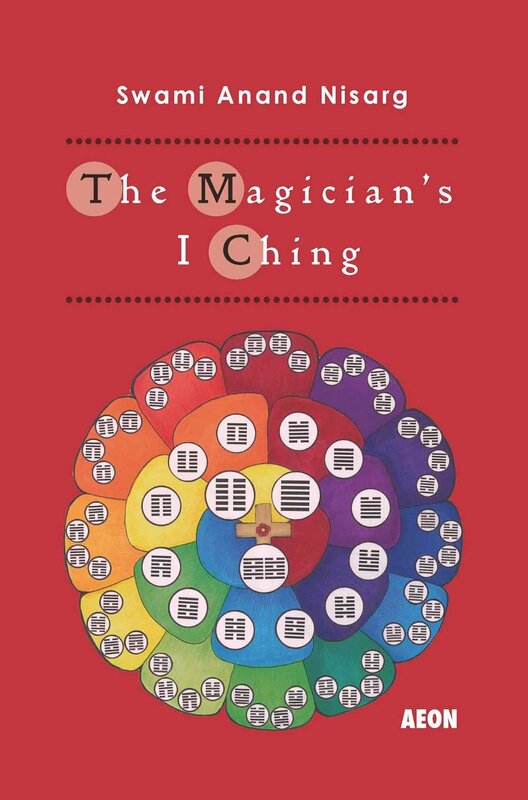 Likewise, with the study of the I Ching, it can be useful at certain times to engage with in-depth specific study of one of the four approaches to the I Ching, it is ultimately necessary to engage in all four methods of study to gain a full and profound understanding of the I Ching's mysteries. Each level of the Yi Fa Society has its own curriculum, with new material presented for the student's growth, practice and study. Previous entries already detailed the Curriculum of Level 1, and Level 2. 1. The "Great Book of Yi Fa": a 95-page "secret text", this book elaborates on some of the mysteries already revealed about the philosophy of Yi Fa, the practices of Yi Fa Qi Gong, and the great work of Enlightenment (personal and universal). 2. The Guide to the Taijitu: this short text consists of an explanation of the Taijitu, the I Ching cosmology's equivalent of the Qabalistic Tree of Life (though it is in fact older than the Tree of Life), and how the different dimensions of manifested reality unfold. 3. The Level 3 Yi Fa Qi Gong exercise. This is a secret exercise taught only to members of level 3 of the Yi Fa Society program. 4. The Zhong Yong: a 9-page text on cosmology, philosophy and virtue, revealing the nature of the Middle Pillar. 5. An exercise for understanding the Image of the Hexagrams. 6. The basic instruction on the techniques of Qi Extension. These advanced teachings are only available to those students who are members of the Yi Fa Society and complete the Level 1 & 2 curriculum. That is because it's true. there is nothing to grab on to. You can glide a little but you cannot fly.